- Discard a droid or vehicle from play. Discard this upgrade from play. 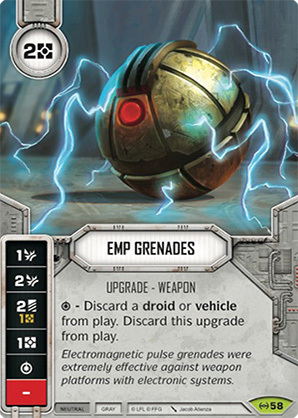 Electromagnetic pulse grenades were extremely effective against weapon platforms with electronic systems.